For many orthodox Christians this is depressing reading. The statistics she quotes are even more alarming. Church attendance halved between 1950 and 1980 and halved again between 1980 and 2005. Only 6.3% of the UK population now regularly attend church according to Christian Research. Belief in “a personal God” has declined from 57% to 26% between 1961 and 2000 (British Religion in Numbers). While those refusing to identify with any religion, has increased from 31% in 1983 to 51% in 2009, according to British Social Attitudes. We can choose then to ignore what is happening in our nation and resolutely cling on to our traditions and well-worn ways of doing. Perhaps the hope is that God will bring revival. He will pour out His Spirit and millions will return to church on a Sunday morning without much effort required on our part. Alternatively, we can wring our hands and bemoan our lot as a persecuted minority who hark back to a golden age of Christendom. But like Ezekiel, I can see a third way. This is one of the great and infuriating things about pioneers, if you give them options, they will always go for one you hadn’t suggested! Linda Woodhead goes on to say, “…real religion – which is to say every day, lived religion – is thriving and evolving…Religion has returned to the core business of sustaining everyday life, supporting relations with the living and the dead and managing misfortune. That’s why angels, cathedrals, pilgrimages and retreats are all doing so well. And why mind, body, spirit has taken over from theology in the bookshops.” For me this is exciting and hopeful. This is where God is at work in what we might consider to be the “wreckage and rubble” of our Christian heritage. There is something real and honest and integrated about this spirituality which the church can embrace. Instead of filling our buildings with those who have prayed a prayer of salvation and are trying to behave themselves so they get into heaven when they die we can refocus on making disciples and partnering with God to transform His world! The church has always reformed to make sense of Christ for the people it is reaching out to with His love and power. So let’s creatively engage. And when we see alternative spirituality, think opportunity rather than threat. That is why I will be on the Dekhomai stand at the Mind, Body, Spirit Festival at Earls Court next week ( www.mindbodyspirit.co.uk) . If you are there, drop by and say hello. If not, please pray for us and if you would like to make a donation towards our work do get in touch. 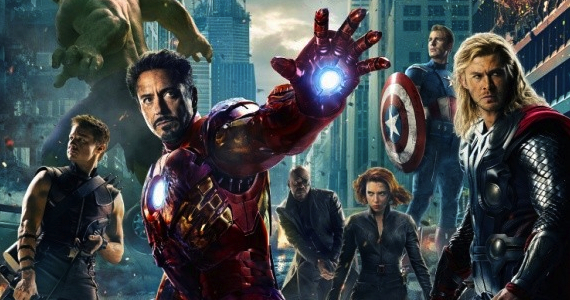 I took my kids to see ‘Marvel Avengers Assemble’ at the cinema over the Bank Holiday weekend. What struck me as the story unfolded was how all the superheroes despite having wonderful powers essential to save the earth, had flaws and weaknesses exploited by the villain to immobilise them with intense feelings of guilt and self doubt. I wonder how many of us live like this. We have amazing insights, talents and gifts that would bless others immensely and enrich our communal life. Yet we too have an enemy that wants to defeat us before we even try. The voice in our head that tells us we are not good enough. The inner critic who asks accusingly, ‘just who do you think you are?’ True heroism is not risking everything with the absence of such fears and possibility of failure. It is acknowledging them and throwing oneself into the fray anyway! One of my favourite passages in the Bible is, “continue to work out your salvation with fear and trembling, for it is God who works in you to will and to act according to his great purpose (Phil. 2:12-13).” I like it because I firmly believe salvation is an on-going process and something we have to put effort into understanding and appropriating in order to live in its fullness. I feel that this is what I am doing in studying theology and having counselling. I am putting in the hard graft to work out my salvation both in renewing my mind and restoring my soul. It is tough and challenging and often painful so that must be where the fear and trembling comes in! But I am also convinced that through this God will do His part and fulfil His greater purpose in and through me. Evidence of His presence with me as I journey towards healing and redemption is manifest as I come across similar things articulated in different places. As well as seeing the Avenger film, I also watched Brene Brown’s follow-up to her ‘Power of Vulnerability’ TED talk. In it she says, “Vulnerability is not weakness…it is the most accurate measurement of courage…Vulnerability is the birthplace of innovation, creativity and change. To create is to make something that didn’t exist before. There is nothing more vulnerable than that.” I honestly think if we are going to be truly pioneering we have to embrace this. We will fail but that does not make us failures! Not only is vulnerability not weakness but, as Janet Davis insists in her book ‘My Own Worst Enemy’, shining is not pride and hiding is not humility. The passage in Philippians goes on, “Do everything without complaining or arguing, so that you may become blameless and pure, children of God without fault in a crooked and depraved generation, in which you shine like stars in the universe, as you hold out the word of life (Phil. 2:13-16).” We shine when we reveal the full beauty and worth of who God has made us to be. We do not have to put others down or deny God glory to do this. But it does require us to overcome our shame, risk vulnerability and be honest with ourselves and one another. Brene tells us that the antidote to shame is empathy. To help others shine, in addition to demonstrating courage that can be emulated, we must come alongside in the midst of the struggle and simply say, “me too”. Can you imagine a world where every person was free and able to reveal the best of who they were? Well now that truly would be the Kingdom come!